Heavy metal cut its teeth (and fingers) in the steel mills and factories of Birmingham, England in the 60s. Metal clanging and hammers banging echoed through the industrial parks and streets as our godfather, Tony Iommi, created and perfected metallic excellence in one fell swoop. Out of the 60s, the highway star burned, elevated by the sad wings of destiny on through the night. From the mid-70s, bands like Saxon, Maiden and Raven etched their hallowed names in that NWOBHM movement. The 80s beckoned big hair and loud mouths, the prerequisite for anyone patrolling downtown Strips at Sunset. It's so easy to place bands, styles and movements in little baskets through metal's first three decades. 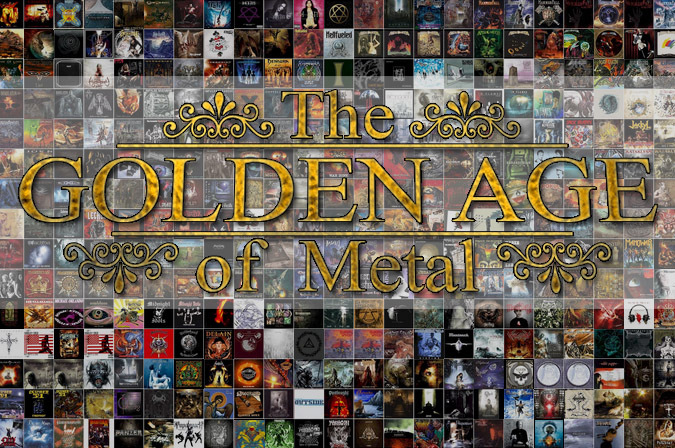 Anyone can do it; create charts and graphs and even documentaries about metal's triumphant decades of decadence. But the 90s...oh the dreadful 90s…that is when things got extremely dense. Gone are the easy categories, metal's Dewey Decimal System of easily finding rock, metal, country and pop in the record and CD bins under said genre. The insurgence of grunge and alternative superimposed itself on metal's OCD grouping of the denims, leathers and polyesters. Now we have a whole new level of excitement, along with a new level of groans from the die-hard traditionalists. Metal wasn't so easy now.